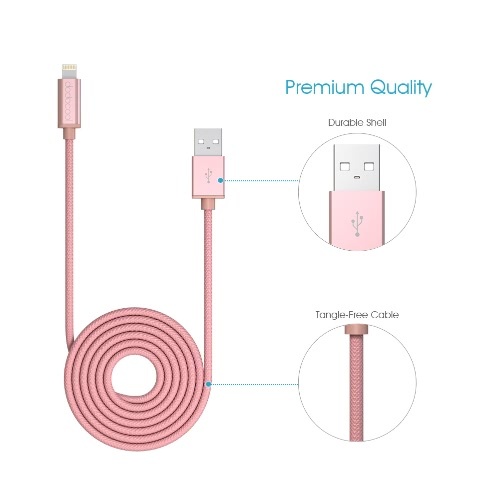 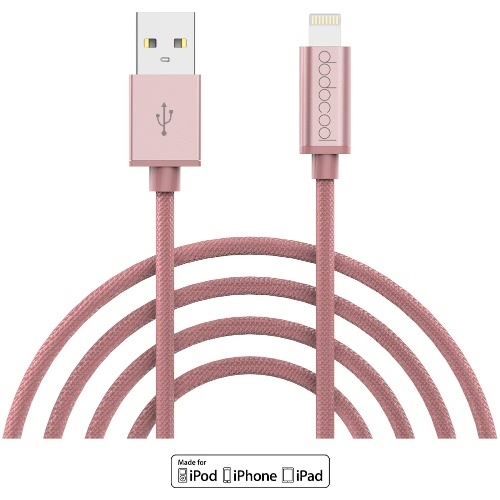 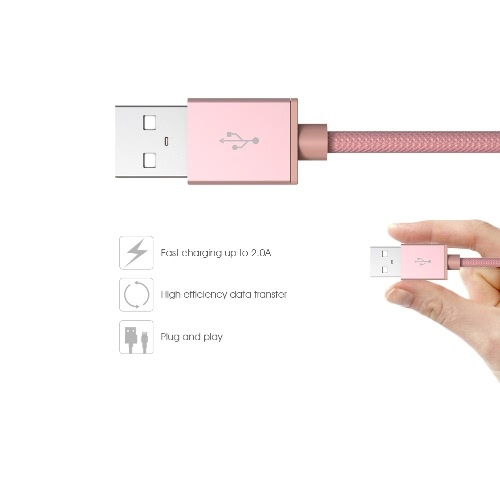 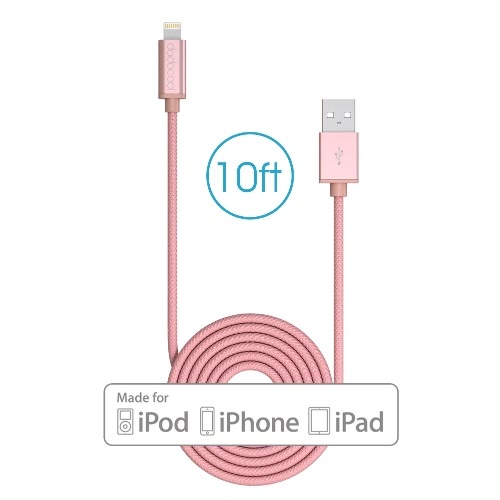 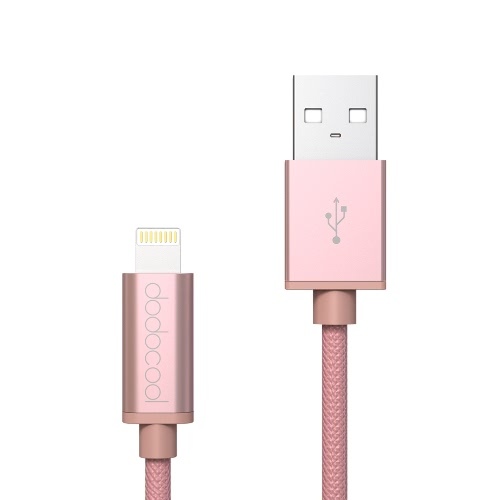 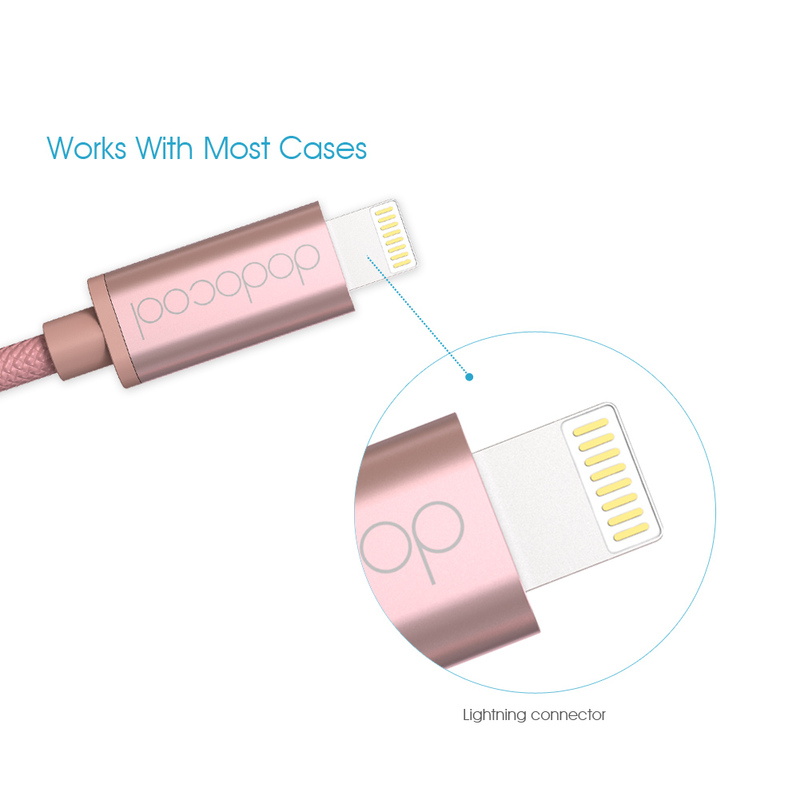 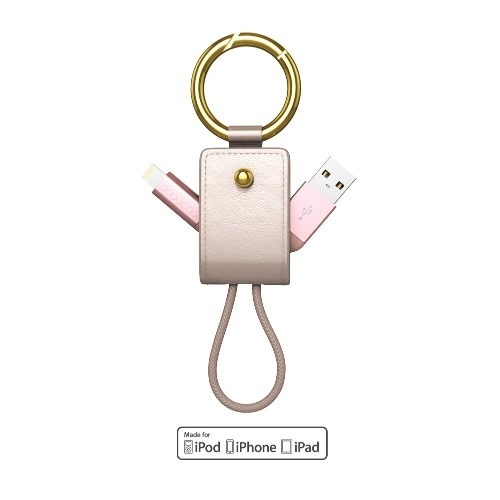 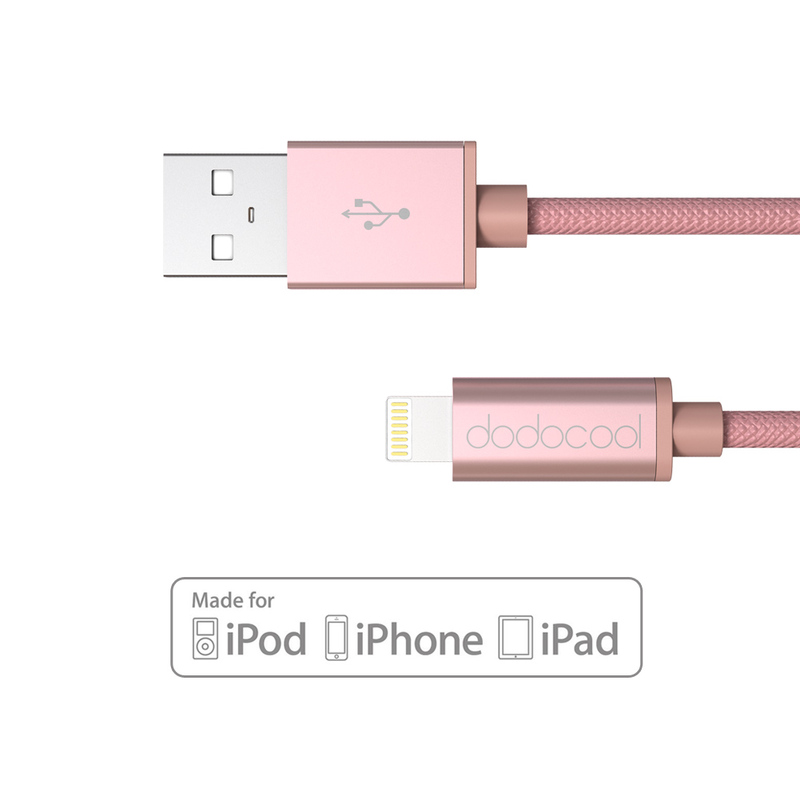 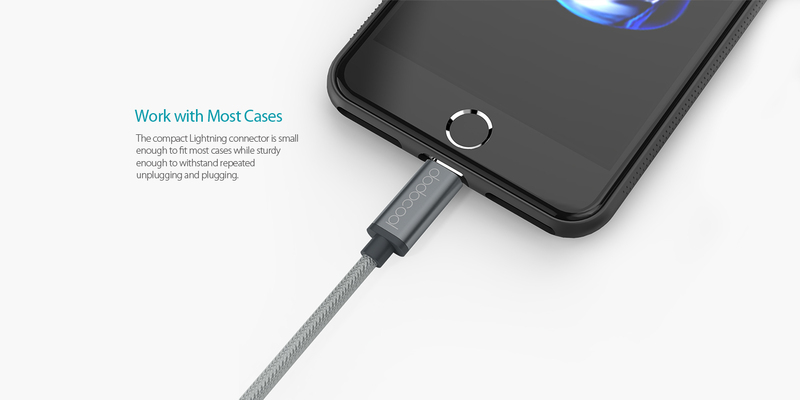 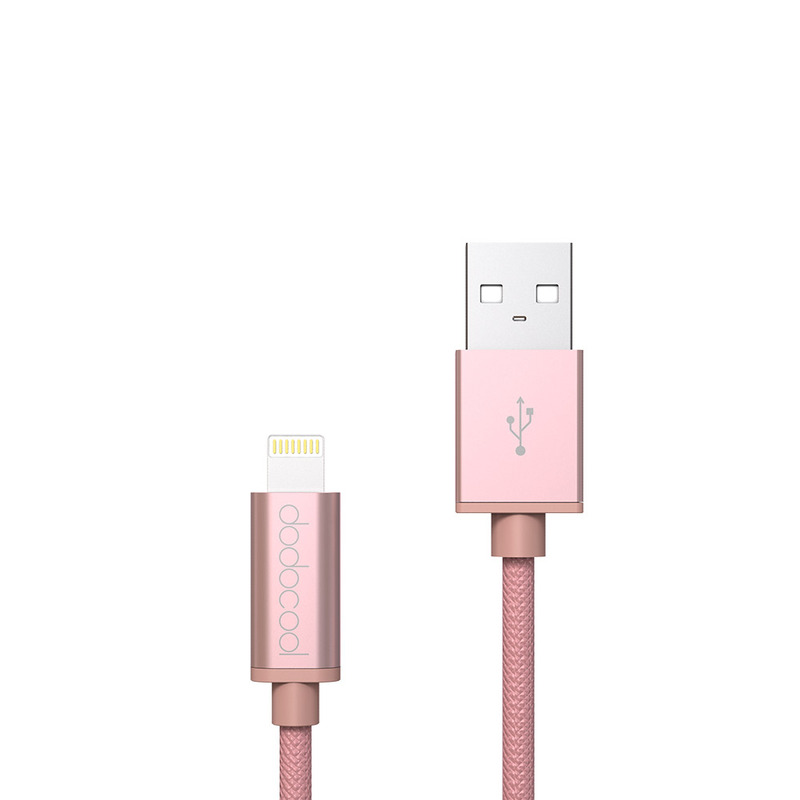 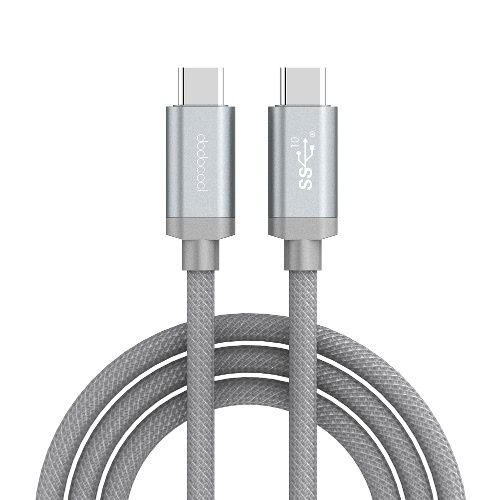 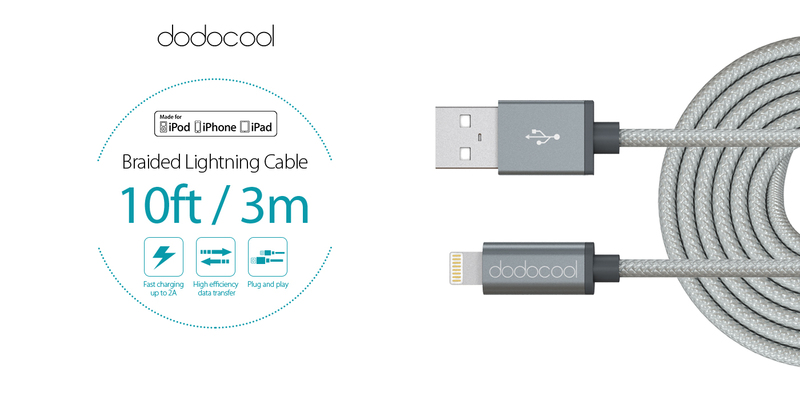 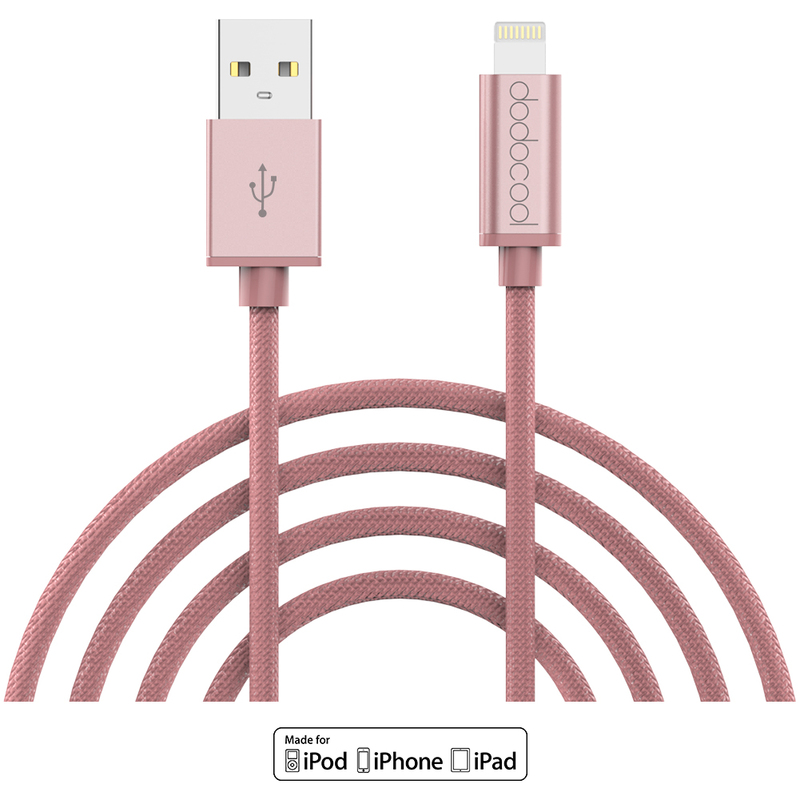 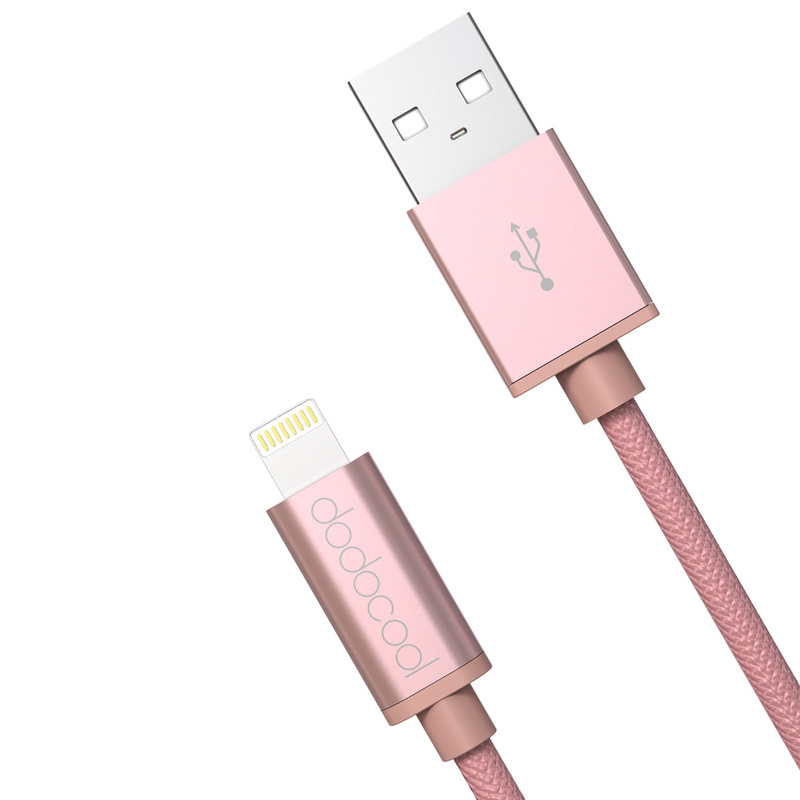 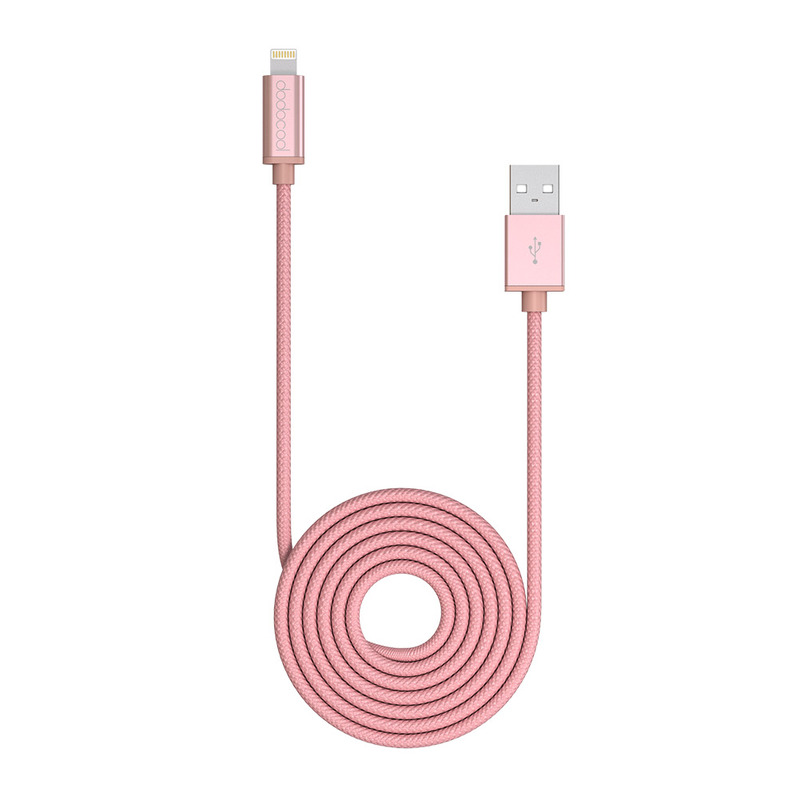 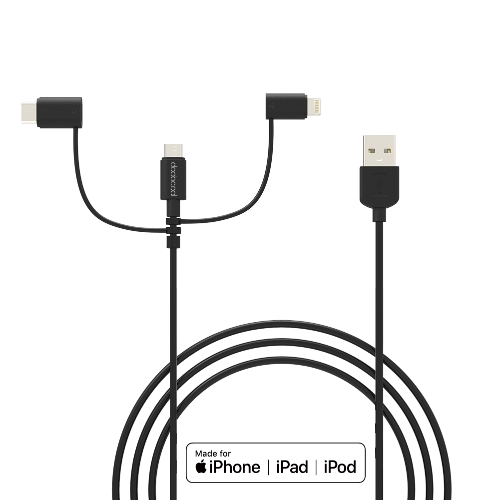 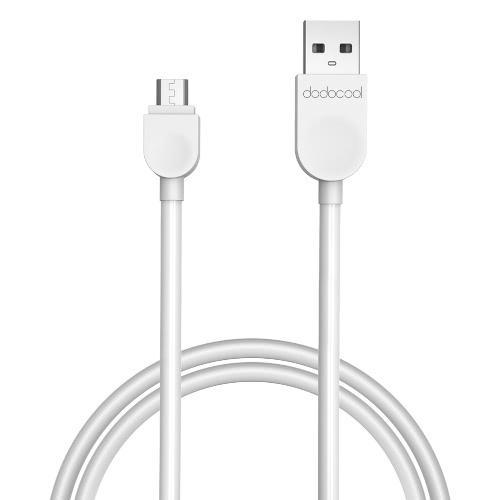 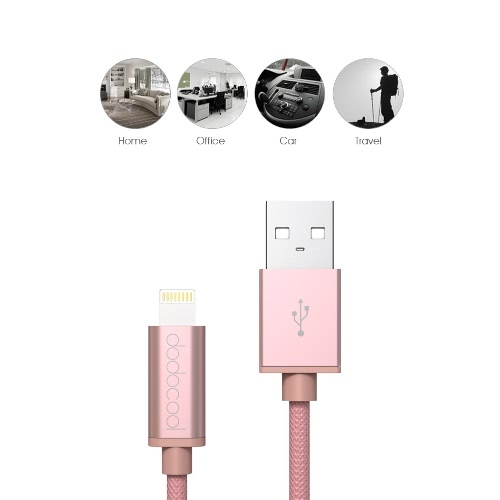 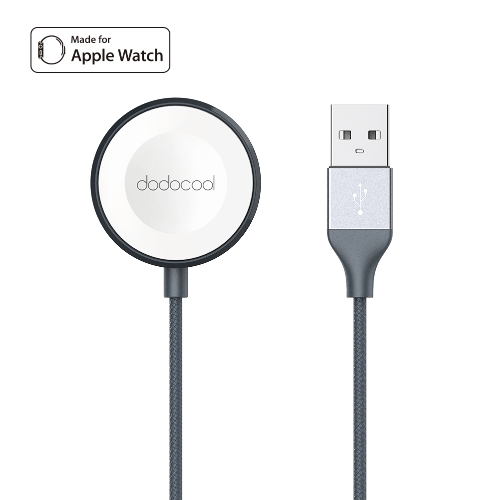 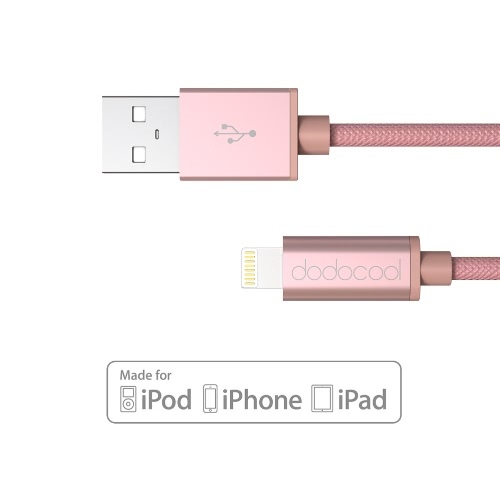 dodocool 10ft/3m Lightning to USB Cable lets you connect your iPhone, iPad, or iPod with Lightning connector to your computer's USB port for syncing and charging or to a USB power adapter or power bank for convenient charging, even from a 10ft/3m distance. High quality braided jacket and core material ensure its durability and reliability and keep your devices safe. 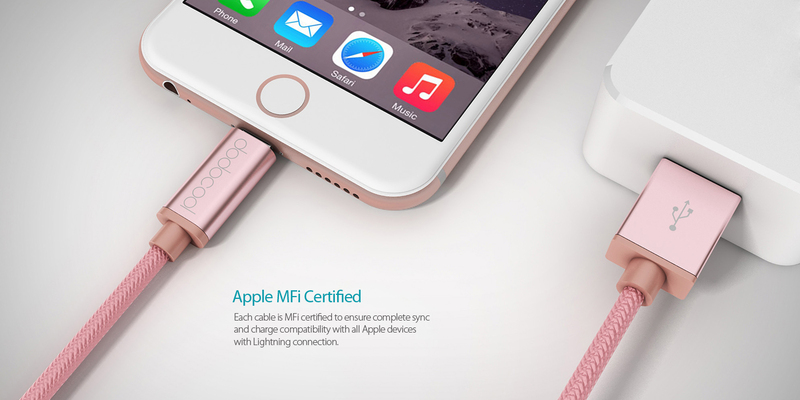 The most popular colors perfectly match your Apple devices. 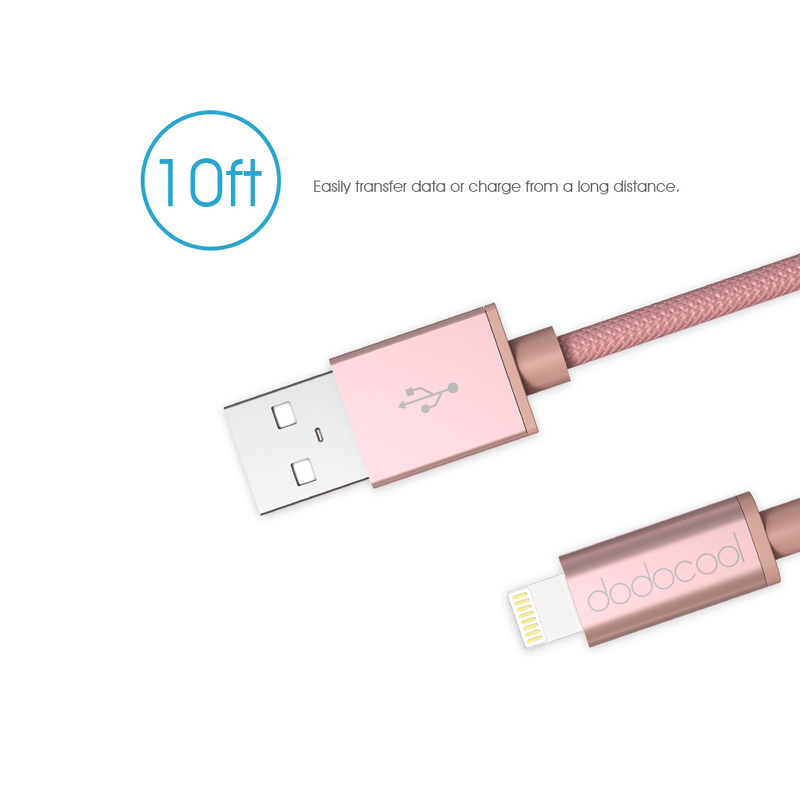 10ft/3m length lets you conveniently transfer data or charge your device from a long distance and gives you more flexibility and convenience. 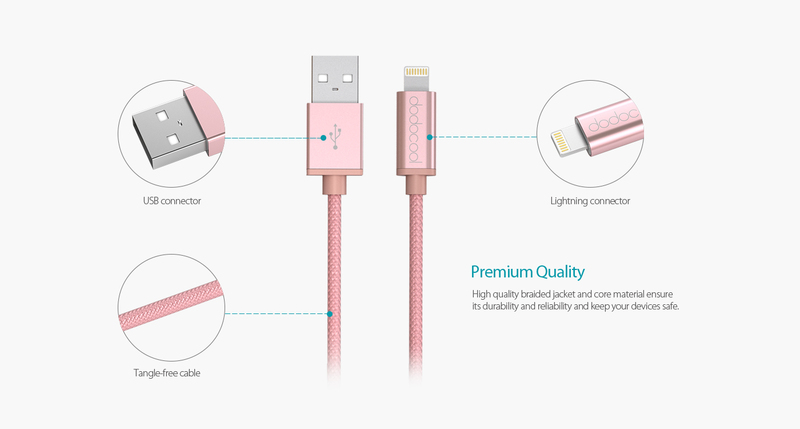 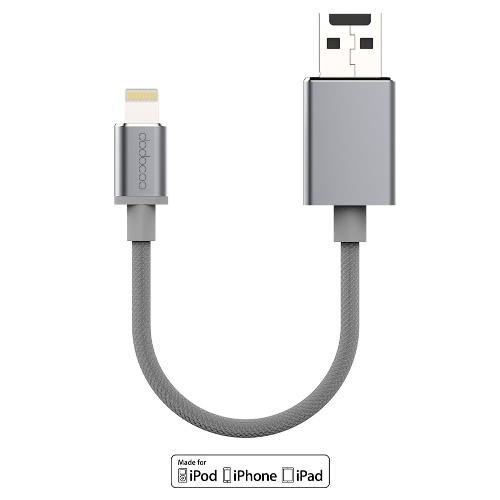 Each cable is MFi certified to ensure complete sync and charge compatibility with all Apple devices with Lightning connection. 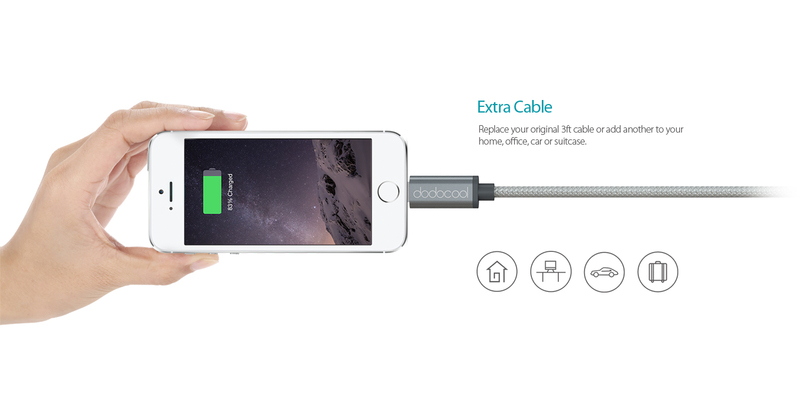 Replace your original 3ft cable or add another to your home, office, car or suitcase. 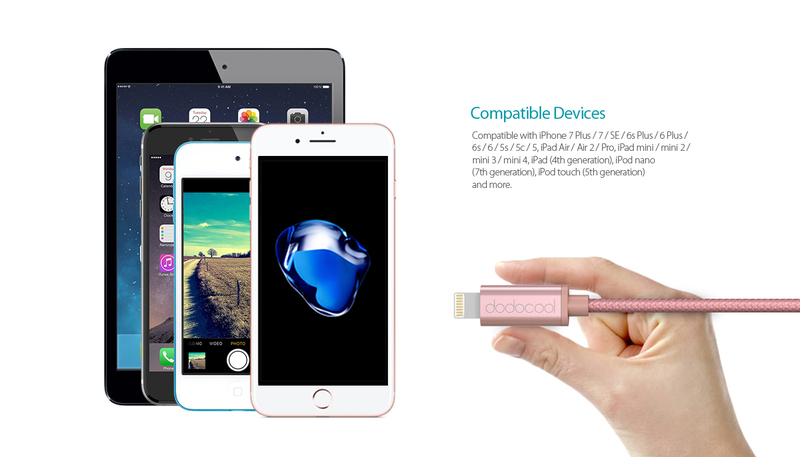 Compatible with iPhone X / 8 Plus / 8 / 7 Plus / 7 / SE / 6s Plus / 6 Plus / 6s / 6 / 5s / 5c / 5, iPad Air / Air 2 / Pro, iPad mini / mini 2 / mini 3 / mini 4, iPad (4th generation), iPod nano (7th generation), iPod touch (5th generation) and more. 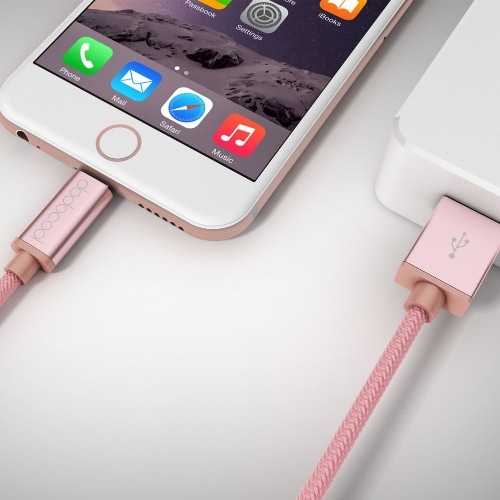 The compact Lightning connector is small enough to fit most cases while sturdy enough to withstand repeated unplugging and plugging.